Member Success Story: Beryl S.
We'd like to introduce you to Beryl S., a Cal Fit member who regularly fits in her workouts at our Carmichael club. 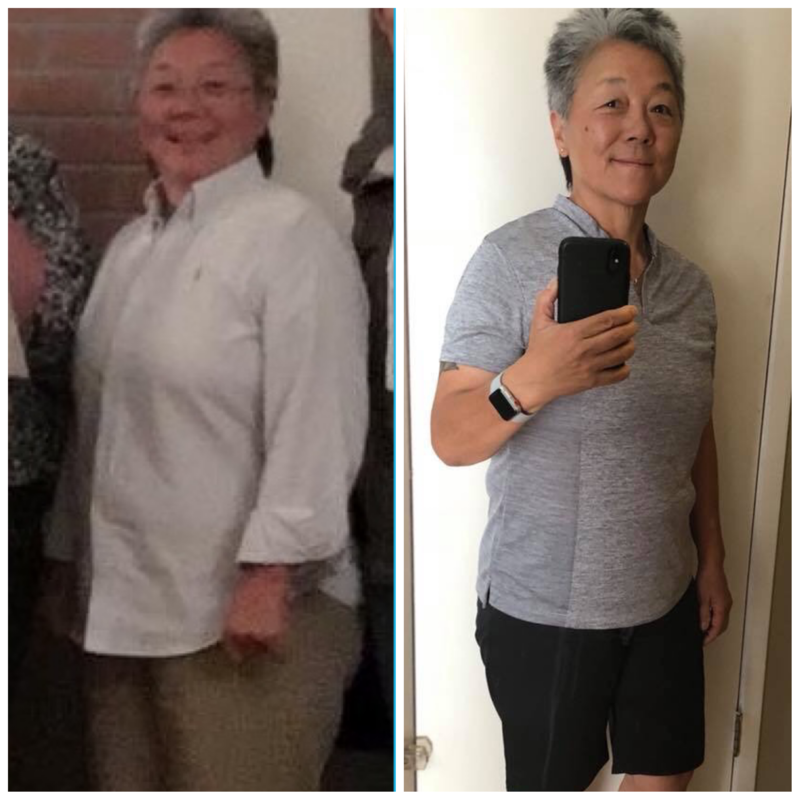 Beryl's fitness journey began about five years ago, when she realized that pain was getting in the way of one of her favorite activities: golf. She explains, "In 2013, I was diagnosed with degenerative disc disease. I hadn't exercised in years due to the pain and ended up becoming overweight. I'm also an avid golfer and golfing had become extremely painful." That pain prompted Beryl to set some goals. "Besides reducing pain, I wanted to lose weight and build strength for overall health." After spending some time focusing on her eating habits, Beryl decided it was time to do more. She began working out with one of our personal trainers, Martina Villasenor several months ago, and Beryl has been thrilled with the results. "Now I am able to golf, pain-free!" she says. Another fun change has been new clothing. "I promised myself I would start buying new clothes once I hit the 150's," Beryl told us. "It's been several years since I've felt comfortable wearing form fitting clothes and it will take some getting used to....but here's the first outfit." We love that Beryl is enjoying the benefits of her lifestyle change in so many different ways. Those changes were not always easy to make, Beryl admits. "Some of my challenges have come from within myself and my 57 year old body. Instead of saying, 'I can’t', now more and more I am saying, 'I can do this!'" Martina's encouragement has also made a big difference for Beryl, who notes, "I enjoy Martina’s friendly approach as she pushes me to do more than I think is possible. I also appreciate her full attention during our workouts." In Beryl's case, getting customized workouts with her personal trainer has been a game changer. "Fitness has become an important part of my lifestyle, thanks to Martina!" she acknowledges. She recommends working with a trainer for others who may be struggling with lifestyle changes. Read more about personal training at Cal Fit, or consider our semi-private and small group training options.